There is a worldwide discussion today on what is happening to our soil, over the whole planet. This is important, and this topic could comprise a whole article in itself. As gardeners, however, we are more concerned with the ground that we have in our own plots. 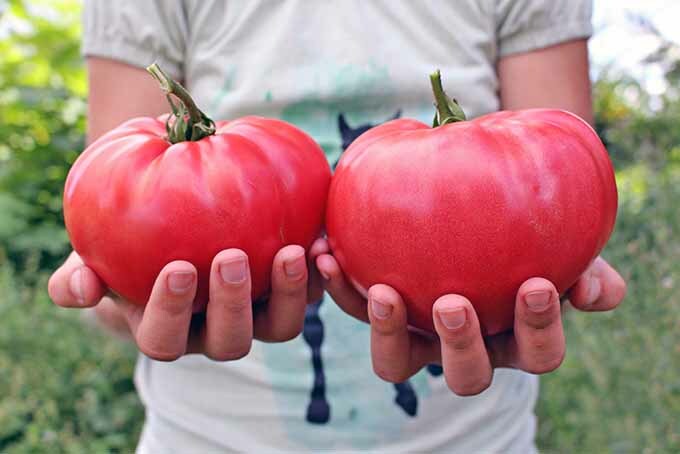 The more we know about this vital commodity, the better plants we produce, and the better our gardens become. 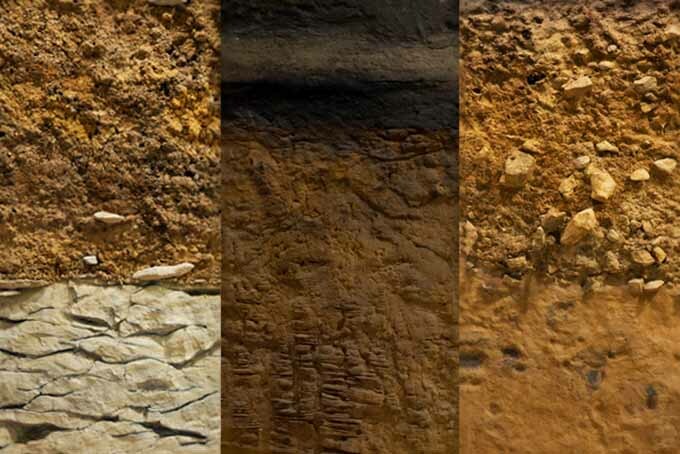 The earth beneath our feet is a mixture of organic material that comes from decayed plants and animal matter, particles of rocks, minerals, air, water, and the small creatures that live in it. 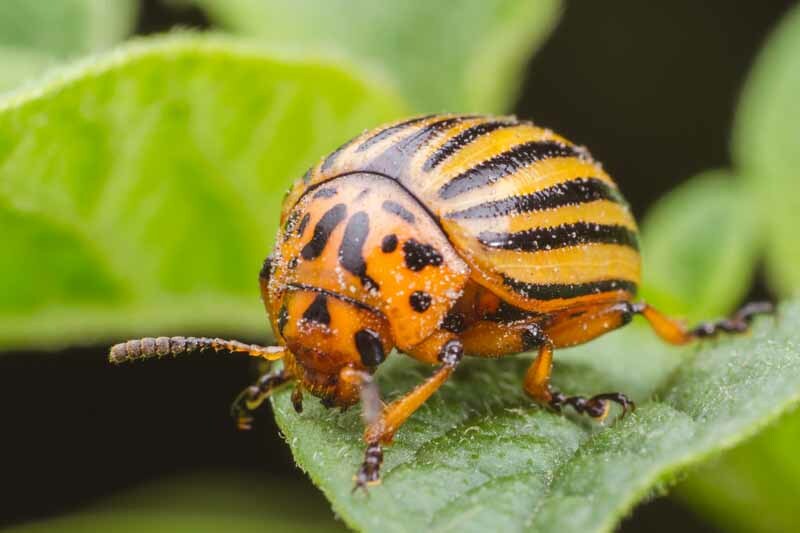 As Elisabeth Winkler states in her piece on the subject, via the Sustainable Food Trust, these include fungi, bacteria, and even larger residents like ants and earthworms. The organic matter is called humus, and in good quality soil it will be dark and crumbly. There are normally two layers – the topsoil and the subsoil. 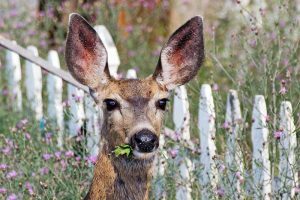 The upper section usually contains more humus, roots, animals, air and nutrients than the second section, which is often more dense and less nutritious. The combination of nutrients, air, and water in the mixture is taken up by the plant roots, which feed the growing leaves and flowers. And it is the combination of these elements that dictates the pH of the soil as well. This is a measure of acidity or alkalinity, something that many people find hard to understand. We will look at this concept in greater detail later in the piece. 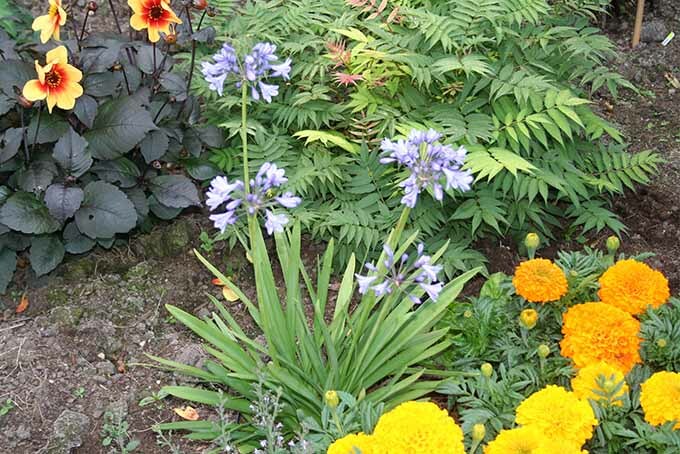 Loamy mixtures are what most gardeners seek to achieve. This type is dark, crumbly, and it may support most types of plants. It is not normally waterlogged in the winter, or dried out and hard in the summer. It is usually easy to dig and work. Silty material is more unusual. It is made up of particles left behind by rivers or other flowing bodies of water, and has a smooth feel to it. This type may have solidified over time, and as a result, it offers very poor drainage. In order to allow water to drain properly, this type of soil must be broken up and fortified with added grit. 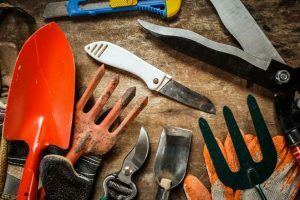 Chalky material is the type that gives gardeners the most cause for concern, because there are certain plants that simply will not tolerate it. It contains pieces of flint and white chalk that are difficult to work with your spade. It is very free draining and is always alkaline. Some plants, like lilacs, thrive in this situation. Clay soil is exactly what it says it is. It is very compact, and usually drains badly. It is also hard to work, and can be formed into balls by hand. It is often baked hard in summer and waterlogged in winter, but at the same time, it contains a lot of nutrients. This is useful for the plants that can tolerate the conditions it offers. By adding material like grit and compost to this type of soil, it can be transformed into a superb gardening material. Peaty mixes are very useful for certain types of plants. These include rhododendrons, and others that like acidic soil. The mixture is usually easy to work, but can be waterlogged in winter. Sandy earth is the hardest to manage, because it drains very quickly and most of the nutrients are washed away. 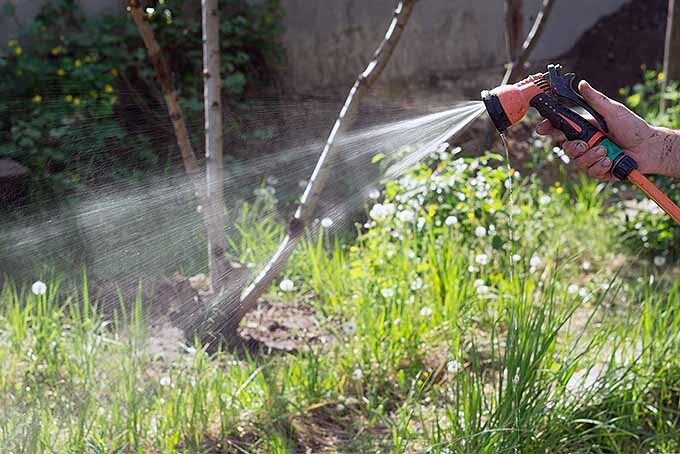 It is necessary to add organic matter and feed to this mix, and watering will often be a major job in the summer. On the plus side, it warms up quickly in the spring, and planting can begin a shade earlier than on land that is mostly clay. Gardeners who live on the coast have to work with the land, and grow plants that have adapted to this very free-draining matter. 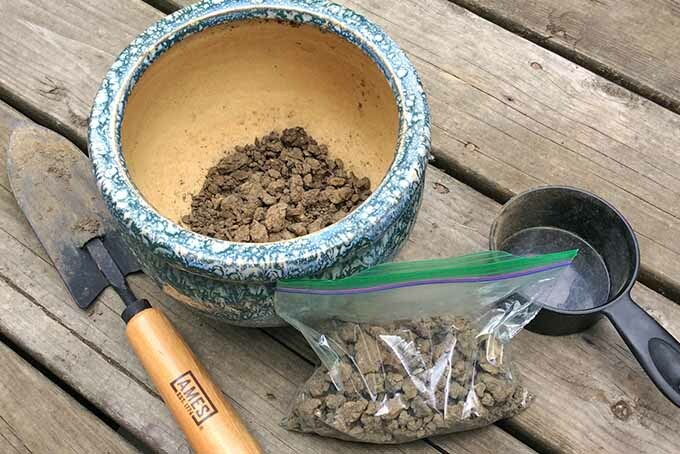 Let’s take a moment to explore two key qualities of soil, and their implications for the home gardener. The structure of earth is comprised of pieces of material, and spaces of air. Clay particles usually dominate, but it can also contain smaller particles like sand. 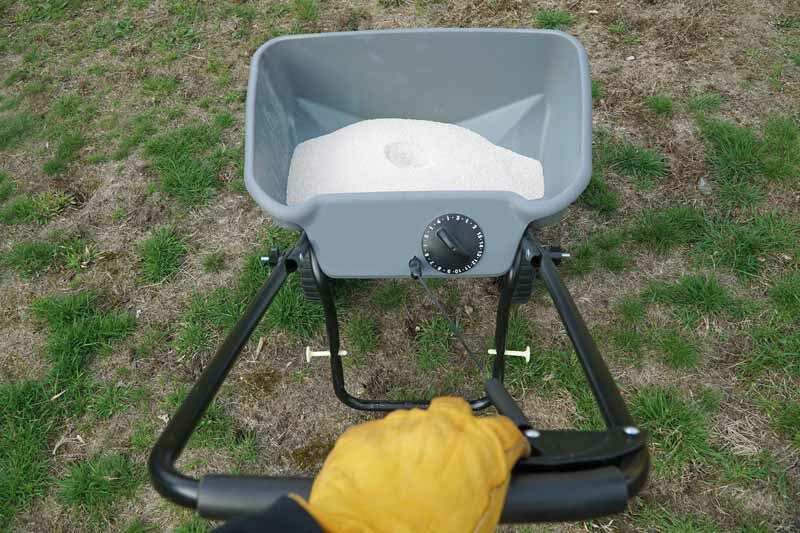 Crumb- Surfaces are rounded, but larger than granular soil components. Blocky- Resembling cubes, with flat, sharp surfaces. Columnar- Rectangular with two long, flat sides and shorter, rounded tops. Single Grain- Coarse particles that do not form an aggregate when dry. When the aggregates bond together, the structure of the resulting soil really depends on the shape of the particles in the earth. There are other types out there as well. The amount of space between the individual pieces allows air and water to permeate the soil, and this helps to determine which plants will do well. In fact, this structure is in effect the plant’s plumbing system, the environment that houses the roots that feed it. If the structure is good (and appropriate for a given species), plants will thrive. Texture indicates how the soil feels when the aggregates have bonded together. 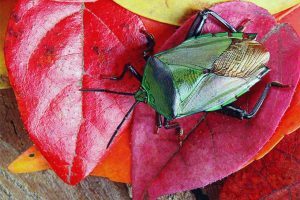 The shape of the particles, and how these building blocks come together to make the material that you are using in your garden, determines the way the soil performs. The pH factor is something that some people find hard to understand, but it is simply the amount of acidity in the soil. There are lots of test kits on the market to test the acid level of a sample of earth. 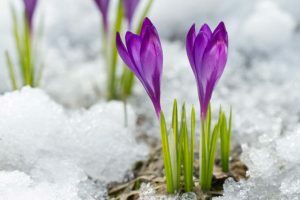 The gardener can then adapt what she chooses to plant to the conditions that are present. Better yet, we recommend sending a sample to your local extension service. You’ll find more information on how to do that here. Ceanothus, or California lilac. Photo by Sheila Muckle. There is no point in planting something that needs to grow in a peaty, acidic soil if it really requires a significant chalk content. The plant simply will not thrive. The acid content is rated on a scale of 1 to 14, with the acid types being below 7 and the alkaline ones above 7. In other words, a score of 1 to 7 means acid, and 7 to 14 indicates alkaline. If the test kit rates the result based on a color instead, then the orange and yellow shades are acid, and the dark green are alkaline. Rhododendrons- These shrubs will thrive in acid soils and provide banks of beautiful color in the spring. The evergreen foliage is a useful background for other flowers during the rest of the year. Azaleas- These are actually from the same family as rhododendrons, but they mostly lose their leaves in the winter. The flash of color on the bare branches in the spring is spectacular. Primulas- Happy to be just on the acid side, these will tolerate a bit of alkalinity. Heathers- Hardy ground cover plants that provide color in the autumn and winter, when it is very much needed. Primula bulleyana, or the candelabra primrose. Photo by Sheila Muckle. 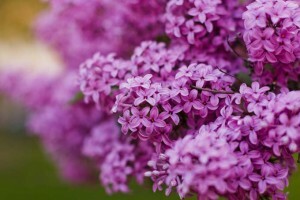 Lilacs- Trees or shrubs do well. Ceanothus- Shrubs in beautiful shades of blue, a.k.a. California lilacs. Lavender- An all-time favorite that never ceases to be popular in cottage gardens, containers, or grown in fields and garden plots to provide dried flowers for oil, perfume, and even culinary uses. 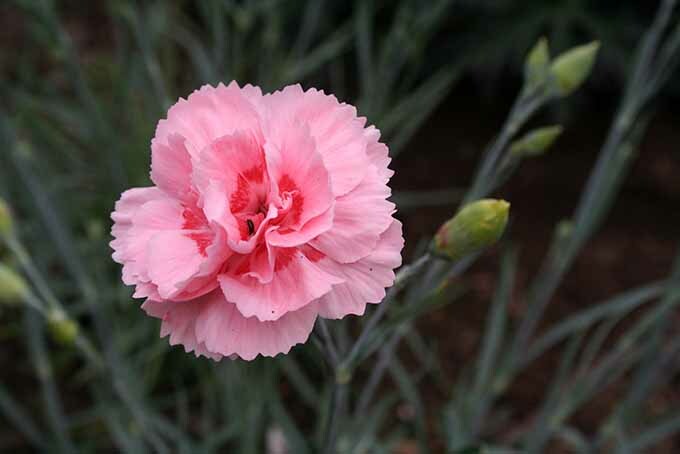 Dianthus- Old fashioned pinks that require free-draining soil. Geraniums (Cranesbill)- A garden standard and excellent ground cover, this true geranium should not be confused with the houseplant variety – which is really called Pelargonium, and is often seen in pots and window boxes. Dianthus ‘Doris.’ Photo by Sheila Muckle. 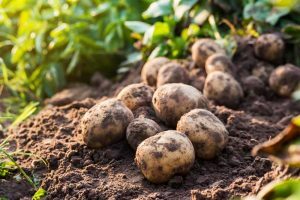 After the pH is determined, it’s important to consider the many factors that impact the growth of particular plants as well. The key to ensuring that your plants will be happy is all about location, location, location. 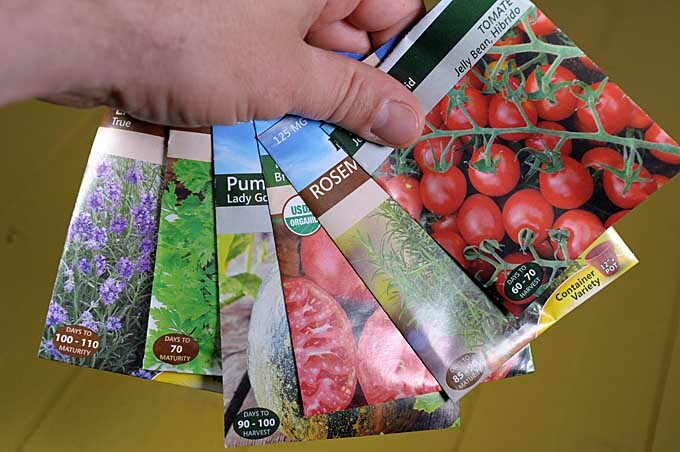 By sowing seeds and planting in the right environment, being attentive to watering and sun exposure as well as soil qualities and conditions, your new additions to the garden will thrive. 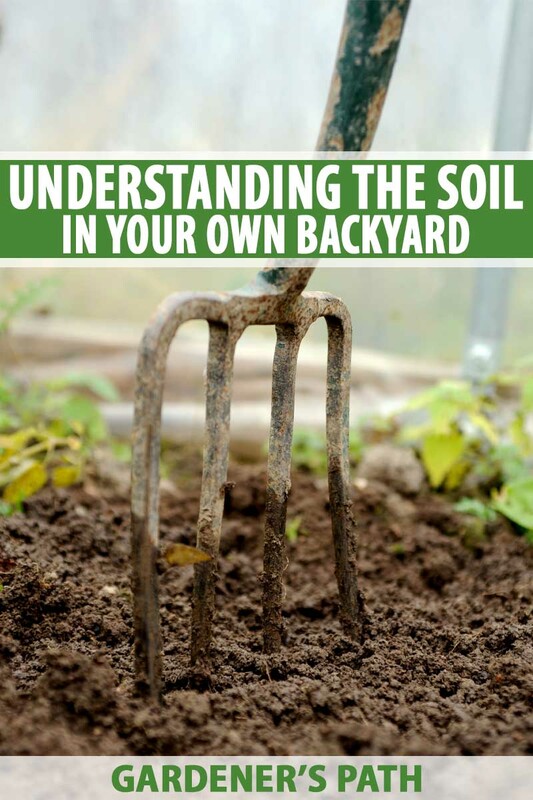 Let’s take a look at the different types of soil that you might encounter in your backyard, and some of the plants that grow best there. Clay soils are full of nutrition but hard to work with, at least initially. The addition of garden compost and grit improves the texture. Grasses- Varieties of Panicum, Miscanthus and Pennisetum all cope with heavy soil admirably. Sea Holly or Eryngiums- Plants that look as if they would like to be in sandy soil, but actually do well in the opposite. Their metallic sepals and blue-green shades are always an interesting feature. The one called ‘Miss Willmott’s Ghost’ is very popular, thought to have been popularized by an enthusiastic gardener a hundred years ago, who scattered seed of the plant in her friends’ gardens. 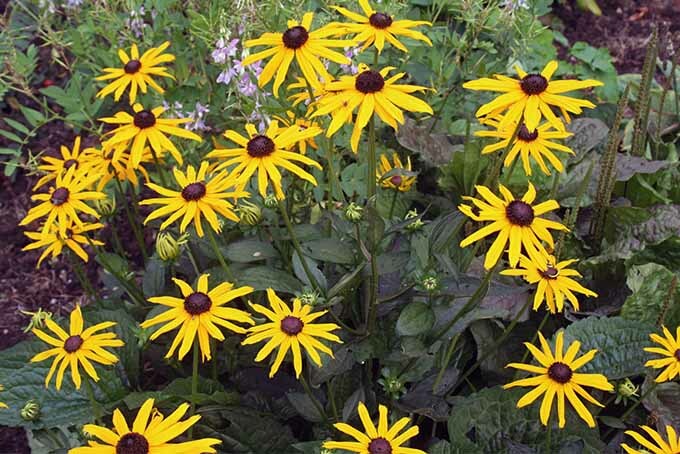 Rudbeckia ‘Goldsturm’- A strong plant of the plains, black-eyed Susans bring sunshine to the later part of the season. Rudbeckia fulgida ‘Goldsturm,’ also known as black-eyed Susans. Photo by Sheila Muckle. Russian Sage- Perovskia atriplicifolia is so good at growing in dry clay soil that in some states, it is considered a pernicious weed. Check your local bylaws before planting! 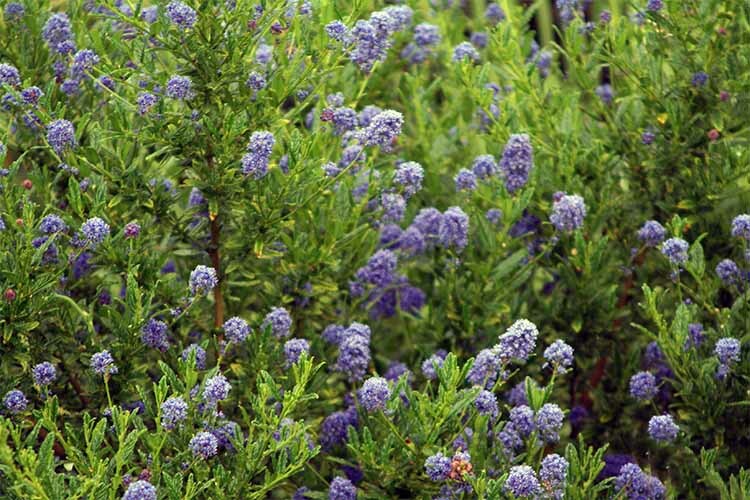 It has beautiful gray foliage and stems, along with spikes of blue flowers. Daylilies or Hemerocallis- Beautiful and accommodating border plants that bring constant color throughout the season, and cope with heavy conditions admirably. Hostas- Will grow in most conditions but they enjoy a heavier soil, and partial shade will bring out the best in them. They also perform well in containers, which help to deter their worst enemy: the slug. Garden Geraniums- Referring again to the Cranesbill, this is another such plant that will work for you in most places, coping admirably with heavy conditions. 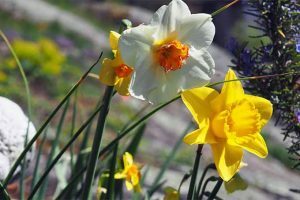 Alpine varieties are an exception to this rule, as they require gritty soil that drains well. Heuchera or Coral Bells- Another staple that will cope with heavy soil, there are so many newly bred varieties around, and their foliage provides bold color alongside pretty flowers. They do prefer protection from cold winds in the winter, but Heuchera will thrive in most conditions. 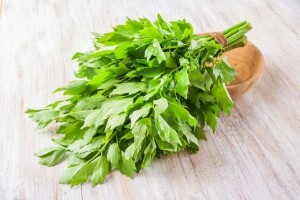 This type may be free draining, but it will often contain plenty of beneficial nutrients nonetheless. 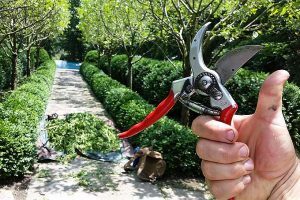 It is easy to work, and has the advantage of keeping plants from standing in cold, wet conditions in the wintertime. 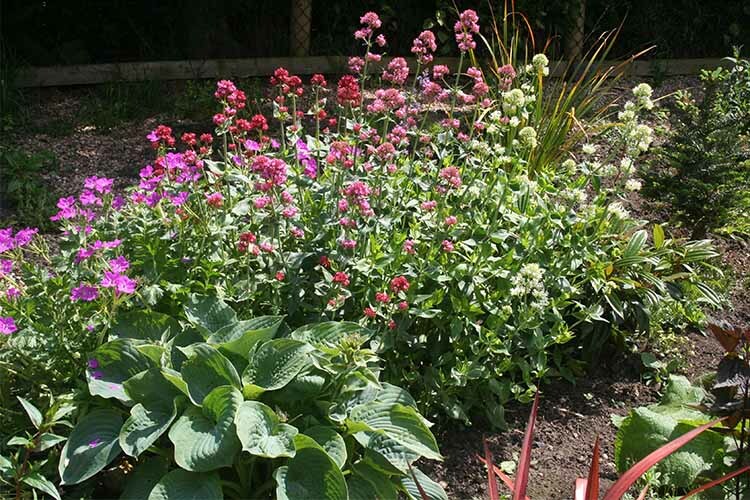 Achilleas- Well behaved perennials that come back year after year, generally easy to look after. Agapanthus- These plants scream summer, and do well in pots when their roots are tightly packed. Agapanthus ‘Lilliput,’ a small and neat variety. Photo by Sheila Muckle. Borage- Another blue plant that’s used as an herb, and as a flavoring in cold drinks. Herbs often do well in poor soil, as many of them originate in warm Mediterranean areas with stony conditions. Centranthus or Valerian- A cottage garden standard that will even grow through cracks in stone walls, it seeds itself, but not to the extent that it will become a nuisance. Blooming Centranthus, with a hosta in the foreground. Photo by Sheila Muckle. 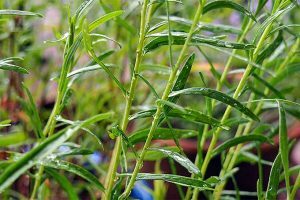 Hyssop- Another herb that loves warm, dry places. Find out more. Bearded Iris- These like to have their rhizomes (or swollen roots) baked in the summer sun, so these should be planted right at the surface. Breathtaking flowers in a huge number of varieties. Learn more about growing them here. Lupines- A standard in old fashioned gardens, they are usually trouble free. 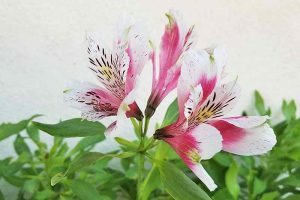 Annual varieties that flower from seed in the first year are now available. Poppies- Many varieties, and annual types will grow if the seed is simply scattered on the earth. They will seed everywhere if left unchecked, so it is sometimes better to remove some of the flower heads before this happens. 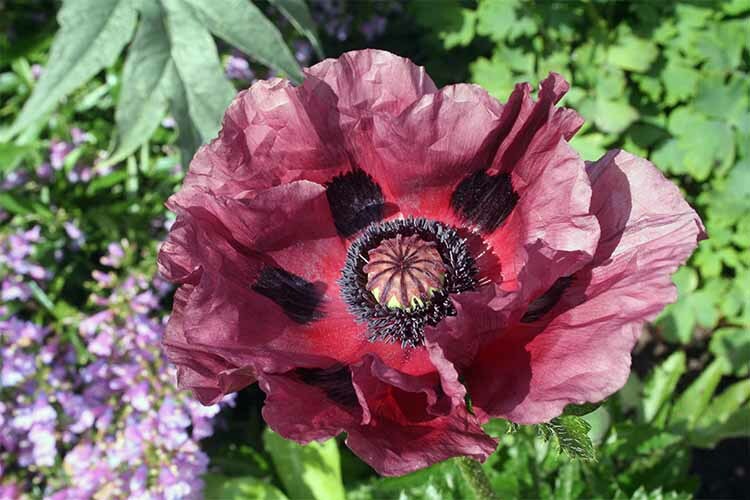 Papaver orientale ‘Patty’s Plum,’ a perennial variety of Oriental poppy. Photo by Sheila Muckle. Eupatorium Purpureum- Commonly called joe-pye weed, this hardy, striking plant is a member of the daisy family. It grows to six feet but needs no staking, butterflies love it, and its purple flowers bloom well into the fall. If you plant this one, the pollinators will be happy. 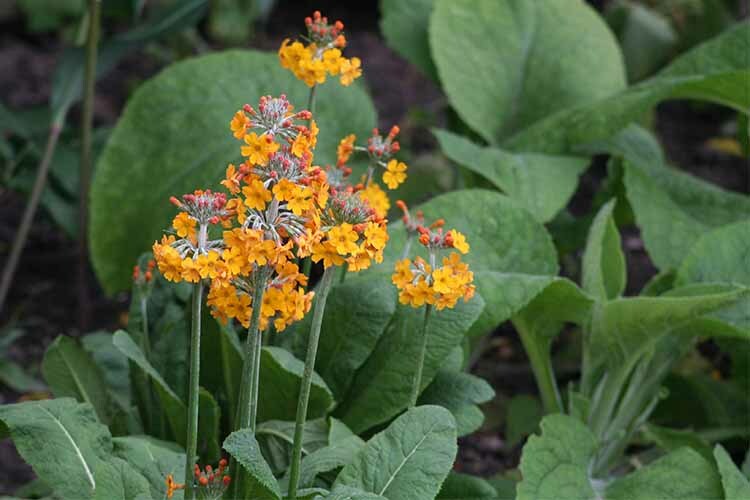 Primula Japonica- Grows to about 18 inches tall and flowers in the spring. Happy alongside streams and likes dappled shade. Myosotis- There are many varieties of pretty blue forget-me-nots, and all will seed themselves, giving you extra plants every year. Lysimachia nummularia ‘Aurea’- Creeping Jenny or moneywort is another low-growing ground cover plant to lighten up a shady, damp corner (but beware – it can become invasive). Lobelia Cardinalis- A striking plant with red flowers on dark stems, hummingbirds love it. Another plant that is happy alongside a stream, it needs to be in damp soil. Ligularia ‘The Rocket’- Needs to be wet at all times, but the spikes of yellow will light up a dark, damp area. This sort is of the lowest quality. It may have been used over many years until it was worn out, and all the goodness was eventually used up or drained away. It is often stony as well, but many Mediterranean herbs and plants that originate in those types of conditions will do well here, especially if the site is sunny. Origanum- Has pretty lavender-colored flowers that grow over the whole season. 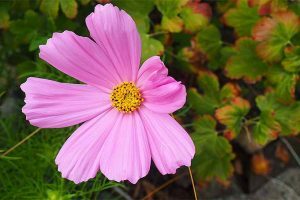 It is very useful as a cut flower and makes a reliable ground cover. Marjoram and oregano are included in this plant family. Lavender- Can be used as small hedges or border plants, or they may be grown in containers. They can often benefit from a “haircut” in the spring, to stop them from becoming woody. English lavender, or Lavandula angustifolia, is more hardy than the French type, L. stoechas (a.k.a. butterfly varieties). Sedum ‘Purple Emperor.’ Photo by Sheila Muckle. 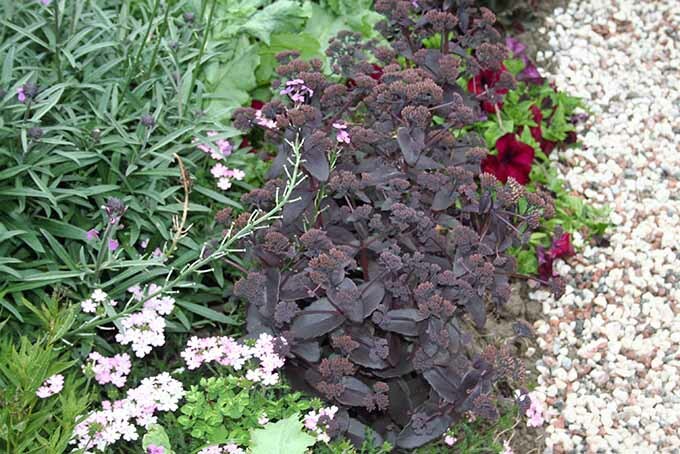 Sedum ‘Purple Emperor’- Has lovely dark purple stems and fleshy leaves. Most fleshy-leaved plants do well in poor conditions, because they are able to store supplies of water. 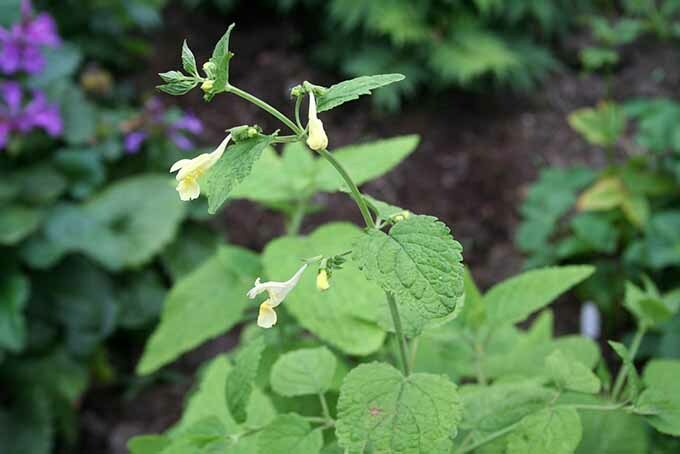 Nepetas- Any of the catmints will grow well, but Nepeta govaniana is a most unusual one, with yellow flowers. Stipa Gigantea- An elegant grass that, though tall, can be used at the front of a border because it’s almost translucent, shimmering delicately in the wind and glowing in the sunshine. Nepeta govaniana. Photo by Sheila Muckle. Hippophae Rhamnoides- A shrub that delights in life by the sea. Tamarisk- A pretty pink-flowered shrub that grows to about six feet in height, and enjoys an oceanfront situation. 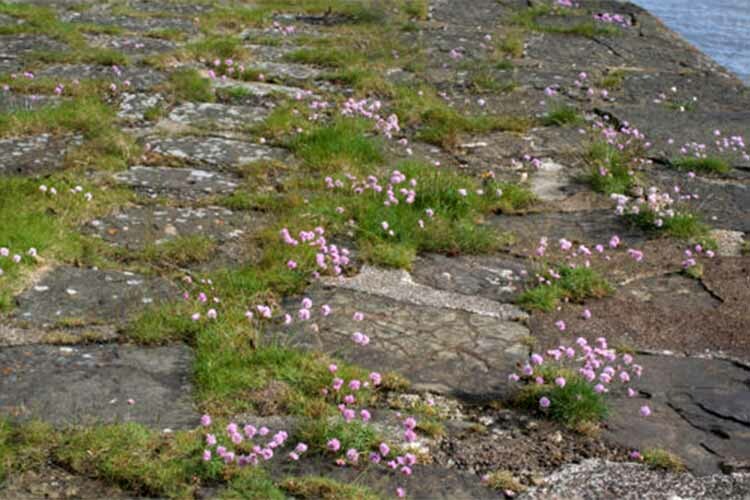 Armeria Maritima– As the name suggests, it thrives in these areas. Armeria maritima growing on a harbor wall. Photo by Sheila Muckle. Dianthus Alpina- Many different varieties of this flowering plant are available, in a range of colors. Saxifrages- Tough, they come back year after year. 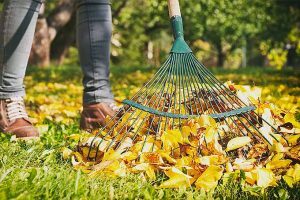 Most woodland locations have a great amount of leaf mold in the soil, or partially decomposed fallen leaves, which is great for retaining moisture. Trees drain a lot of the available nutrients, but bulbs survive well here. 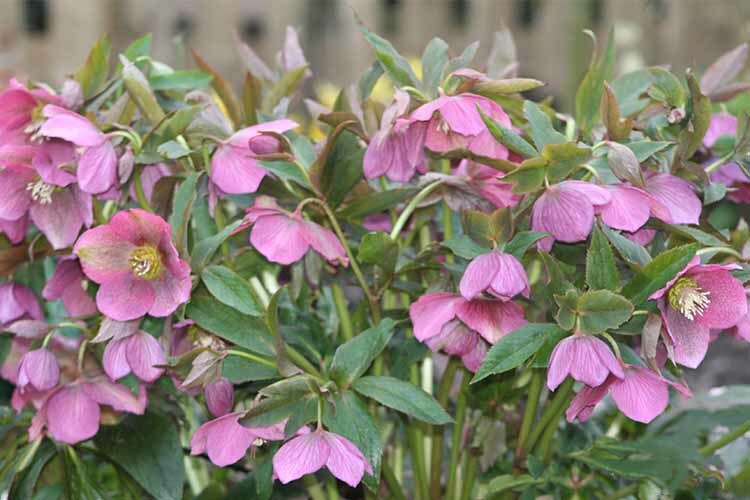 Hellebores- In the last twenty years, so many hybridized varieties have become available that the choice is nearly endless, in colors that range from lime green to almost black. Be warned: collecting them can become an obsession. Pink hellebores. Photo by Sheila Muckle. Primroses- These are truly the faces of spring, and the wild Primula vulgaris is always a delight, along with P. veris, the cowslip. Members of this family always do better if the air is clean and pollution free. Snowdrops- Galanthus nivalis is the most common of this family but there are many others, including double-flowered varieties and some with yellow calyces instead of the usual green. This is another very collectible group of plants. They are best split and moved “in the green.” That is, it is best to transplant these when the foliage is still to be seen, but after the flowers have finished. Wood Anemone- These offer lots of early blooms, before the leaf canopy brings shade. 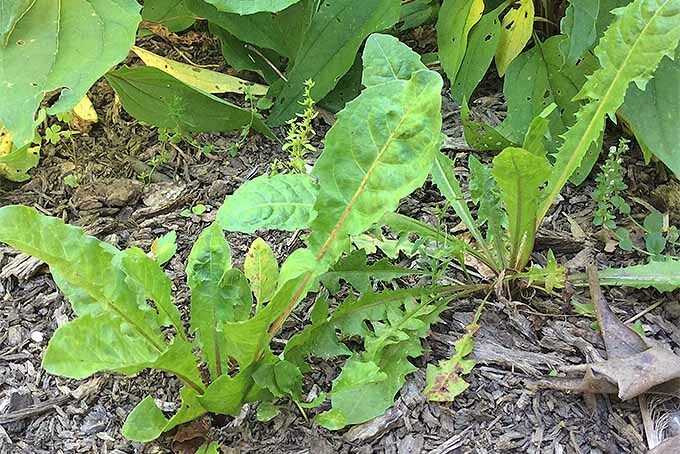 Ferns- These plants usually love shade and a high-moisture situation. Some types that favor these growing conditions include Adiantum aleuticum, the maidenhair fern; Asplenium scolopendrium, the hart’s-tongue; and Athyrium filix-femina, the lady fern. Hostas- This reliable go-to loves dappled shade, and they’re an excellent low-maintenance option. Vinca or Periwinkle- Makes excellent ground cover, and it’s also a salt tolerant plant. Ajuga- Another superb ground cover plant, often called carpetweed or bugleweed. Ajuga, or bugleweed. Photo by Sheila Muckle. Dicentra- Sometimes called bleeding hearts or Dutchman’s breeches, these plants look deceptively delicate, but are really quite hardy. Aquilegia or Columbine- These border favorites are also known as granny’s bonnets. They will happily produce new shades and varieties, and insert themselves around the border in unexpected places. The methods recommended to improve conditions of the earth in your area are different, depending on the type. Light, poor, and sandy soils need good old fashioned manure and well-rotted garden compost that’s dug in thoroughly. This will help with water retention and provides added nutrients. Heavy soils need copious amounts of grit added, and will also benefit from garden compost to bring air into the mix. 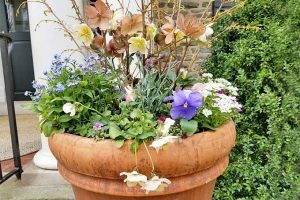 If all else fails (or even if it doesn’t), growing in containers will enable you to grow plants that may not like the conditions in your garden. This makes it easier to provide the right soil for your specimens, and the unique conditions of a particular type will not be leached away by rainfall. 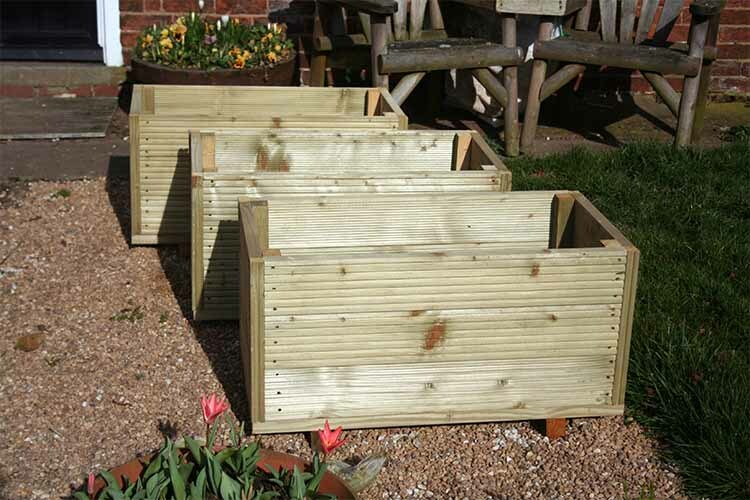 Above-ground planters, made from pieces of decking. Photo by Sheila Muckle. If there is a plant that you do not have the conditions to support but simply must grow, keeping it in a large pot can provide that pleasure. For more information on selecting the right containers for your garden, read our post here. 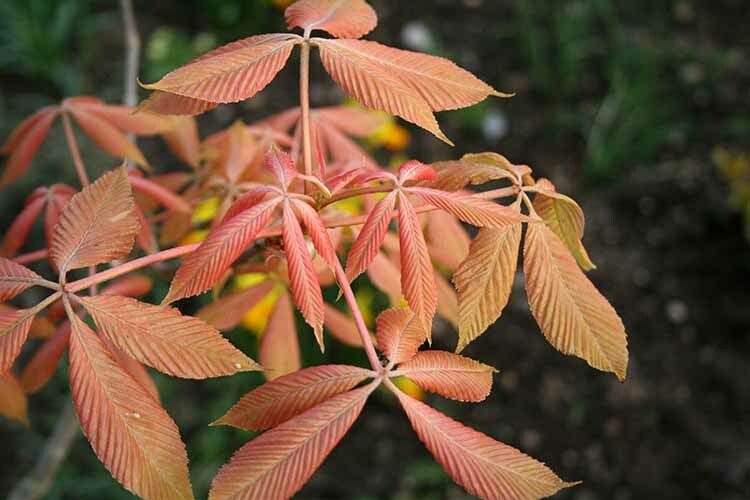 For me, Aesculus neglecta ‘Erythroblastos’ is this plant, a small tree that’s native to the U.S. 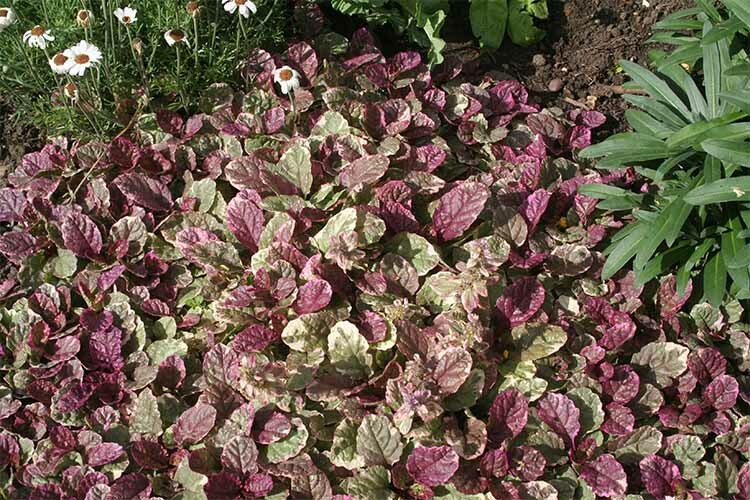 It likes well drained soil in sun or light, dappled shade, and protection from strong winds. In the springtime, it is truly breathtaking. The leaves are shrimp pink for a few weeks before becoming a lime green – one of those once-in-a-lifetime plants. Aesculus neglecta ‘Erythroblasts.’ Photo by Sheila Muckle. 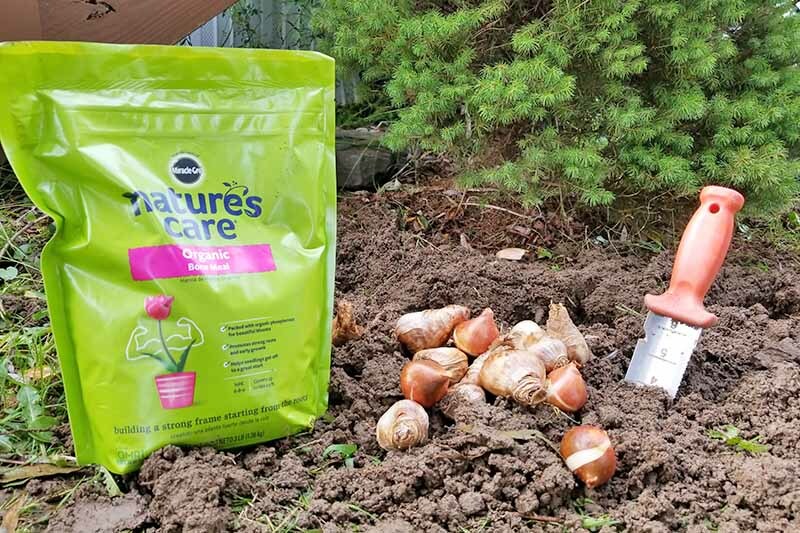 Take a look at the soil in your own backyard, supplement it appropriately, and plant things that will thrive. 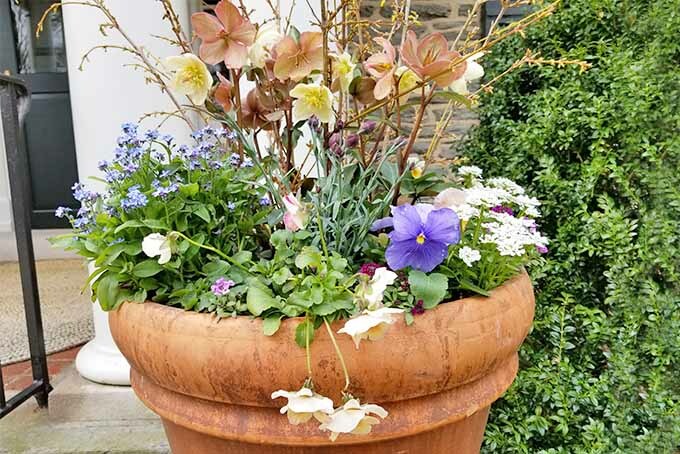 If there are certain types that you just have to have but that like a different environment, create that situation by supplementing the dirt that’s available, or use containers. You may even find that you have two or three different earth conditions already, and simply need to move plants from one area to another. What’s the soil like where you live? Are formerly unhappy plants thriving, now that you’ve transplanted them to different locations? Let me know in the comments!